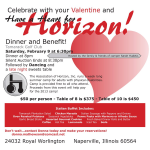 Heal Team 6 and Horizon have been working hard putting together the fundraiser Gala of the year. Join us Saturday, November 8 at Lake Forest Sportscars for Dallas: Stetsons, Stilettos and Sportscars. Tickets are limited, so purchase them soon because you don’t want to miss what everybody will be talking about. For more information, click Dallas. We would like to welcome two new board members to the Horizon Board of Directors, Justin Navarro and Peter Valadez! 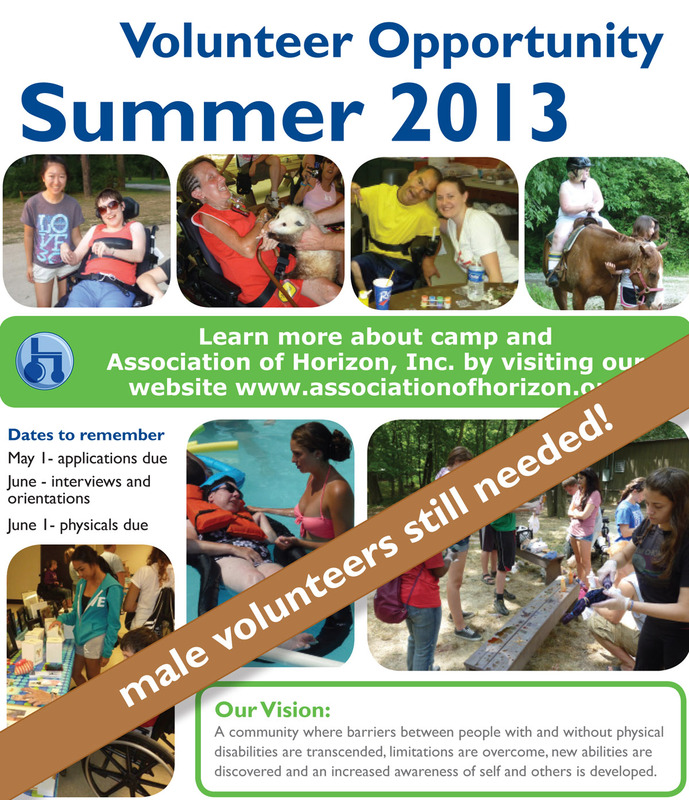 2013 Horizon Summer Camp is less than 2 months away. If you, a family member or friend would like to volunteer for the week, we could still use your help. 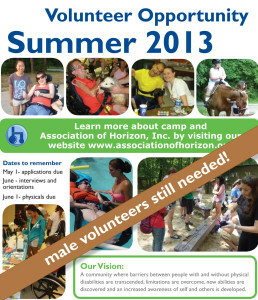 For more information on how to sign up, please click Horizon Summer Camp. On Wednesday, March 27, Buffalo Wild Wings located at 7111 S. Kingery Hwy., Willowbrook, IL 60527, will donate 10% of all pre-taxed food sales (less alcohol & promotional discounts) from any guest that presents a fundraising ticket. It’s that simple, print & present the following ticket and Horizon will benefit. Click here for a flyer with ticket. 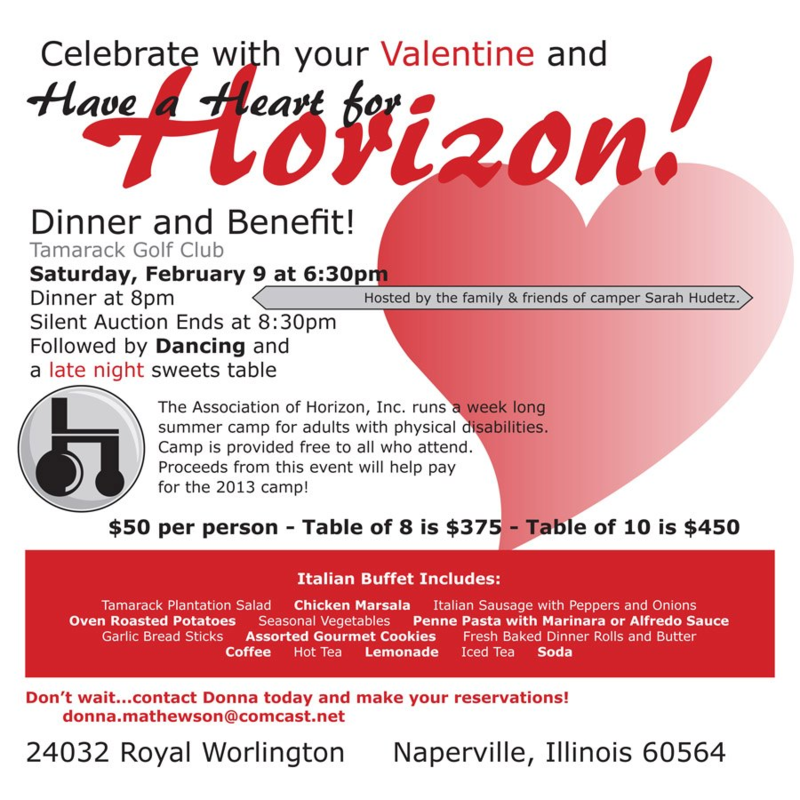 Wonder how you can help Horizon? It could be as simple as knowing the right person. 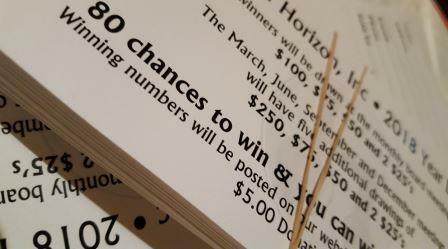 Horizon golf committee needs help recruiting prizes. If you have a contact that may be able to donate a hotel stay or timeshare, please contact golf@associationofhorizon.org. Here’s an excellent gift idea! Don’t know what to get that special person in your life for the holidays? Why not give them an official Horizon logo shirt. We have several designs to choose from. Just visit our website to shop for the holidays or for yourself! Place your order by December 9th to receive in time for the holidays. Horizon’s next fundraiser will be held at the bd’s Mongolian Grill in the Bolingbrook Promenade! Join us Wednesday, December 22 from 6 to 9PM! No tickets are needed, just show up and order something (anything) and Horizon will receive $3 per person. Create your own stir-fry and then have it grilled up by one of Horizon’s very own guest grillers. Everyone is welcome to bring guests such as family, friends and neighbors. The more people there in the more money Horizon will receive. For more information and directions, please click here.